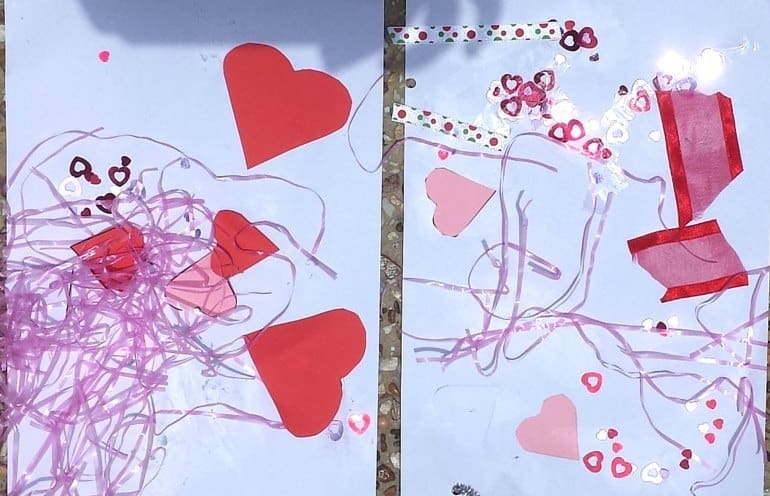 There are so many great Valentine’s Day crafts and activities for toddlers, however sometimes it is fun to put out an invitation to play and see what they come up with on their own. I love the idea of these as it allows your toddler’s creativity to shine through (my daughter once turned a very Christmas themed invitation to play into a dinosaur adventure!). Anything pink and red or with hearts on it will work well! « Toddler meal ideas that they will actually eat! I love it when you just let the kids go, and see what happens. 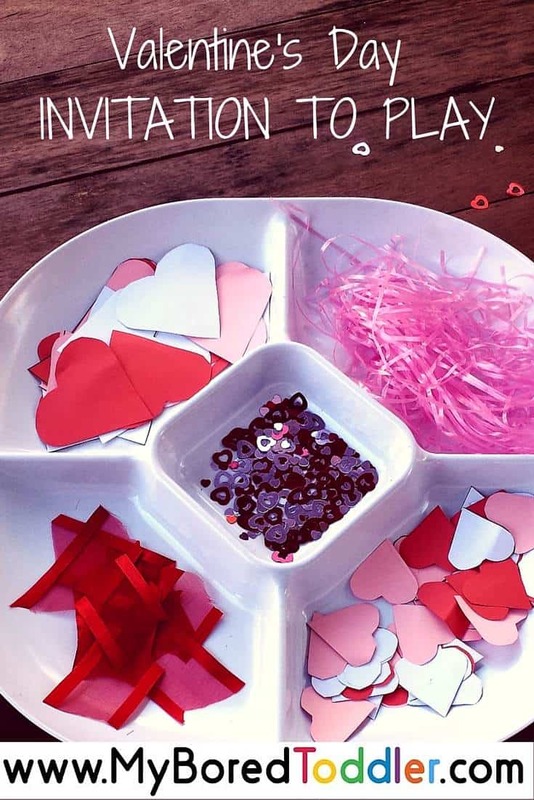 This is a lovely idea, and some great materials to be working with as well. Thanks for taking part in the Love Blog Hop. I’m new to learning about invitations to play. My daughter is still an infant (she’s 9 months) so we haven’t gotten to this stage yet. It looks like a lot of fun though!